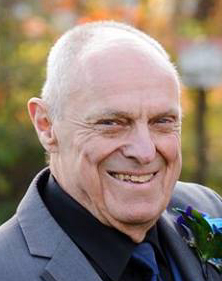 AUBURN – George J. Gemme, 82, died peacefully with his loving family by his side on Tuesday, March 26, 2019 at St. Vincent Hospital in Worcester. He is survived by his wife of 39 years, Anna Maria (Minniti) Gemme of Auburn; eight children, Rev. Deacon Pierre G.L. Gemme and his wife Carol of Rutland, Paul A. Gemme and his wife Lynda of East Dennis, Diane C. Holmes and her husband Robert of Charlton, Sharon M. Fitzpatrick and her husband Daniel of Oxford, John J. Gemme of Oxford, David E. Gemme and his wife Julie of Oxford, Danielle M. Gemme and her partner Brian Minick of Auburn, and Benjamin J. Gemme and his husband Steven of Austin, TX; a brother, Henry W. Gemme of Auburn; two sisters, Anne Berthiaume of Holyoke and Lorraine Boucher of New Hampshire; 22 grandchildren, 4 great-grandchildren, and numerous nephews, nieces, and cousins. He was born in Worcester, the youngest of 13 children to the late Henry W. and Clara (Bolduc) Gemme Sr., and lived in Auburn for 57 years. He graduated from Assumption Preparatory High School in Worcester in 1954. George was a builder/developer with his brother Henry. They owned and operated Gemme Brothers Inc. in Auburn for many years. Later, he owned and operated George Gemme Builders in Auburn for over 30 years accounting for more than 600 homes over his lifetime. Prior to owning and operating his business, he also taught cabinet-making at Bay Path R.V.T. High School in Charlton. His most recent job, although challenging, showed his true kindness and compassion. He drove special needs students for Vanpool which filled his heart. As a master carpenter, he was skilled at making cabinets and furniture. George was a member of St. Ann’s Church in North Oxford where he acted as a Eucharistic minister and sacristan. He was also a member of the St. Vincent de Paul Society. As an avid outdoor sportsman, he enjoyed hunting, fishing, and boating. George was passionate about his gardening; from tilling the soil to the bushels of produce which he happily shared with many. He enjoyed playing a little golf, collecting antiques, and keeping his mind sharp by playing computer card games, as well as doing the daily crossword in pen. He recently began making wine from the fruits he gathered off his trees. He was a Boy Scout counselor and committee member. In addition, a past member of the Rotary club, Auburn Kiwanis, and the Auburn Chamber of Commerce. He will be dearly missed by many loved ones whose lives he touched. A funeral Mass will be held at 10 a.m. on Saturday, March 30, 2019, at St. Ann’s Church, 652 Main St., North Oxford. Those attending are respectfully requested to meet at church. Burial will follow at Hillside Cemetery in Auburn. Calling hours are Friday, March 29, 2019, from 4-7 p.m. at Paradis-Givner Funeral Home, 357 Main St., Oxford. In lieu of flowers, memorial contributions may be made to the St. Vincent de Paul Society, c/o St. Ann’s Church, P.O. Box 488, North Oxford, MA 01537.